and to develop strategies aimed at growing your business. If you’re considering using Active Campaign – or if you already use it – you’ve made a wise choice. As an inbound and content marketing company, we have worked with many marketing automation systems. ActiveCampaign is intuitive, reliable, and has many powerful features found only in more expensive solutions. As an Active Campaign certified consultant, we’re here to help you get the most out of the software. Whether you need help integrating Active Campaign with your website, setting it up, building complete marketing strategies, or just some outside advice, let our experience help you reach your goals. Our experienced team of Digital Strategists, Content Developers, Social Media Specialists, and Programmers can create and implement a complete marketing strategy designed to meet your business goals. Most business owners we encounter have an understanding of what Active Campaign and other automated marketing can do but don’t have the time or the experience to set these services up correctly in order to achieve the results they are looking for. That’s what we do! 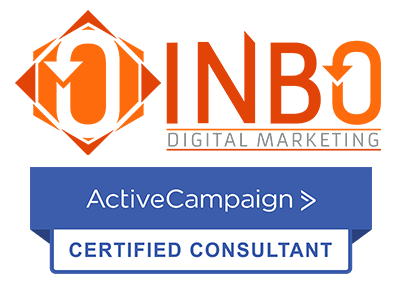 As certified consultants of Active Campaign, we have to pass tests as well as pay to be listed on the Active Campaign site as a qualified, certified consulting agency. The reason we offer these services is because we believe that Active Campaign is an extremely valuable tool for growing small and medium-sized businesses. Let’s chat and see if Active Campaign is right for you and what we can do to help you get the most out of it.